Written and delivered as an Artist’s Talk, the text’s underlying tone is a last word to a former significant other who does not “understand” the speaker’s work. The slide lecture contains five images of canonical Conceptual/ Feminist artwork as well as one image from a video piece of the speaker’s. The work is part of the larger collection From the Perspective of An Artist Who Writes. 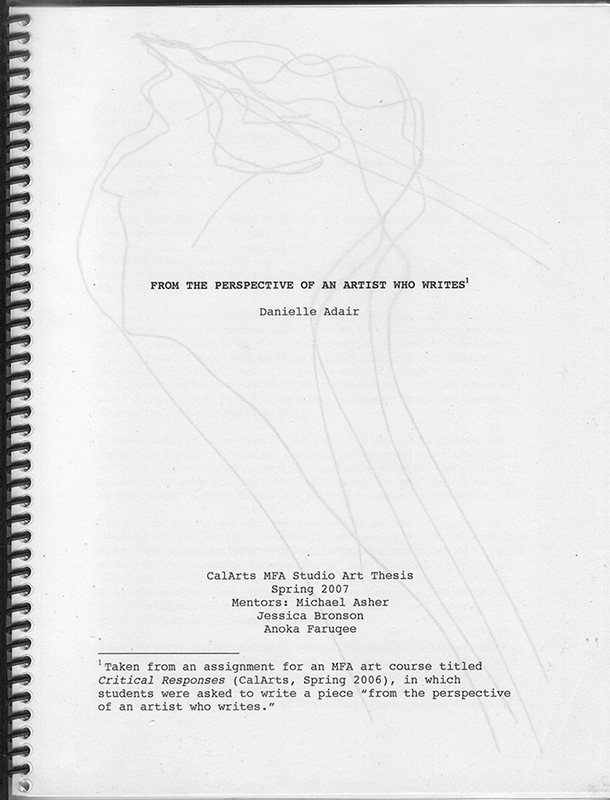 The text appears in print in the publication Next Words (2007).